Buster’s not-really-first short film as solo star and director (THE HIGH SIGN was made first but shelved), ONE WEEK still dazzles and delights. 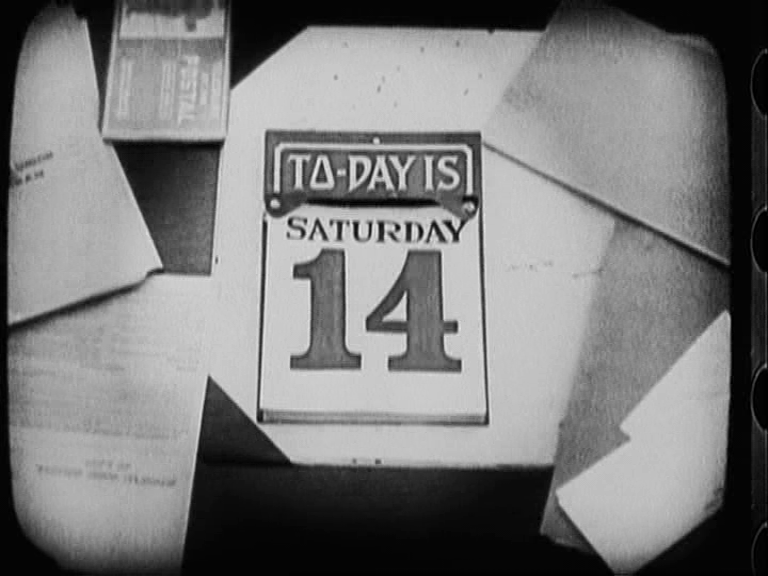 All it really has over the also-impressive THS is a certain structural rigour, imposed by the title and the division of the story into days of the week (actually, the narrative starts on a Monday and ends on a Saturday — there IS no Sunday intertitle). But this is something none of Keaton’s previous films with Arbuckle had — typically they fell into two parts, the first part not having a lot to do with the second. THE HIGH SIGN is a more organized version of the same principal, with the shooting gallery stuff followed by the trick trap-door house stuff. Story logic does connect the two, but the result is still a bit of a grab-bag, even if all the ingredients are good. In ONE WEEK, the whole plot centres on one task, and Keaton entertains less with sheer variety than with variations on a theme. 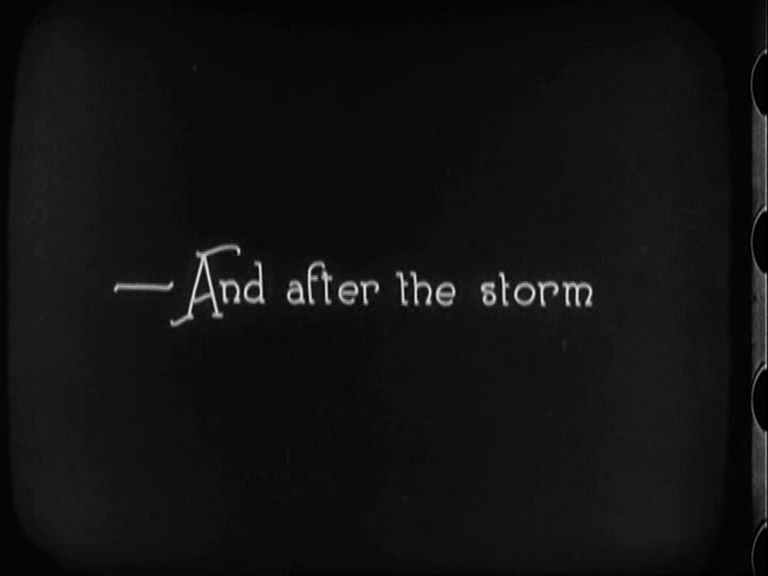 He was always one to embrace limitations: the most heroic thing about COLLEGE, a minor Keaton feature, is that he chose a boat race for the climax since only two interesting things would seem to be possible in a boat race: collision or sinking. 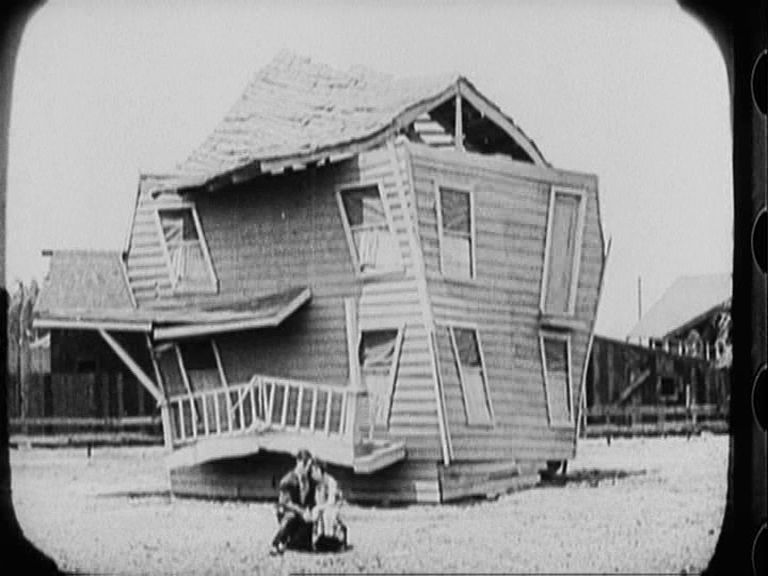 The construction of a house from a kit, ONE WEEK’s subject, is far more rewarding, but by sticking rigidly to it, Keaton gains an unusually solid, compact and logical structure. And the division of the narrative into six days adds a formal device that enhances the sense of shape (the whole idea was drawn from a serious documentary on the subject of house-building).